Make sure to read our complete MMA shorts for big guys buying guide before finalizing your purchase. It is never easy to find a good model of MMA shorts for big guys. When you look for big and tall MMA apparel, your biggest problem is finding the proper size. Even if they are the best shorts on the market, finding the perfect size can sometimes be a nightmare. Finding the best MMA shorts for big guys might force you to choose a lesser known model because of the simple problem – you generally need MMA shorts size 44. It doesn’t mean 42 or 46 will not fit; some manufacturers have different sizes. The last thing you need is shorts that are too tight. Not only it will limit your movements, but you won’t be able to train MMA as well. 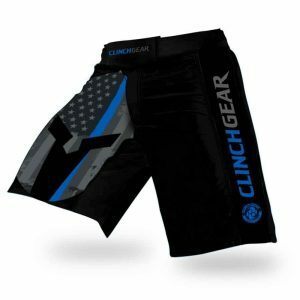 This review will try to help you choose the most suitable MMA shorts for big guys which will completely fulfill your needs. The most important criteria to purchase proper MMA shorts for fat guys are material, durability, price/quality ratio, comfort and weight, and individual needs. Remember, the ground game is an essential part of mixed martial arts. BJJ shorts are mostly made of microfiber. You need the shorts which are resistant to tears, pulling, destructive throws, and transitions. It also needs to be flexible. The process is something similar to finding the best BJJ spats – they must fit comfortably. We don’t recommend satin or nylon because it is not that resistant. The fact the shorts can be used for special ops says a lot! Their models are resistant to extreme weather conditions and even high-level cross-training. MMA shorts have to be sweat resistant since big fighters sweat more. Look at affordable models of MMA shorts for fat guys if you are on a budget, but try to stay away from the cheapest ones. We are aware that money is a limiting factor. Investing extra 10 or 20 bucks will lengthen how long your shorts last, and you will surely get some other benefits. 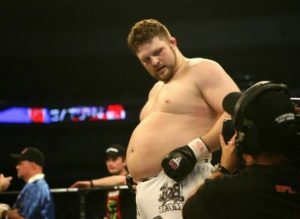 You shouldn’t feel MMA shorts for fat guys around your waist. It should be light as a feather and really shouldn’t be too tight. It should always have a good option for adjustment; maybe you will lose some weight as you progress. Maybe some of you like a certain manufacturer, design, or color. 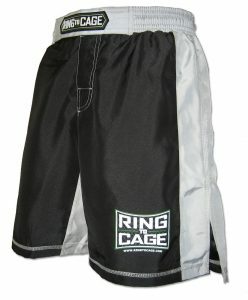 The best MMA shorts for bigger guys is the one which has a variety of colors and many variations. According to this criterion, you need something suitable for a wide population. More options increase the chance of your satisfaction. If your shorts can handle these five things, and it stands around your waist, you found the best MMA shorts for big guys! Now that you understand how to choose a good MMA short, here are my top 3 picks and why I love them so much. Clinch Gear is an excellent model, made of microfiber, a very soft and smooth material. It is also sweat resistant and the best choice for serious MMA or BJJ practitioners. It is very comfortable and lightweight, and you won’t even notice it during hard & heavy training sessions. The same material is used for special ops in the military, which is one More big plus when it comes to the quality of these shorts. You don’t have to worry whether it will get loose or fall off during the fight. It has DoubleGrip waistband and full hook-and-loop closure which leads to great adjustment abilities. This is the best MMA shorts for big guys on the market. However, it is in a mid-range price. I definitely believe it is worth every penny and will last for a very long period of time. Ring To Cage has an excellent affordable model, which is very comfortable and flexible. You will get great shorts which can be tightened or loose according to your dimensions. It is also good for ground fighting, and a protective groin cup can fit with ease in these shorts. The sublimation printing is excellent, and you will look like a serious grappler. You can choose between two very modern designs. The only downside of this model is sweat resistance – this feature is not that as pronounced as in other models. Sweating may be an issue when looking for the best MMA shorts for big guys. Fujifilm offers an affordable model. It is an ultra-lightweight model that stretches with ease. You won’t feel it during the ground sparring session or stand up fighting. It has great graphics, which can endure all throws and transitions, and won’t peel no matter how much you sweat. It also offers a beautiful white, grey, and black designs. You can carry it with pride with almost any other color. The downside of this model is Velcro waistband enclosure with an inside drawstring. You will have to choose a size that fits well. Did You Find The Best MMA Shorts For Big Guys? Choosing the best MMA shorts for big guys is hard, more work is required to find the perfect fit. But finding shorts for a big guy shouldn’t be a problem, many UFC champions are large specimens, so don’t worry! We believe you will find a great price/quality ratio if you choose Ring To Cage, while Fujifilm could be the great choice for a wider population. The best overall model, according to our assessment, is Clinch Gear. It has all the features required to fit any tall or fat fighter. 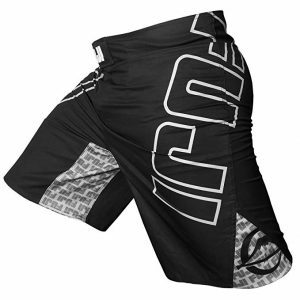 Let us know if we helped you ease out the process of finding best MMA shorts for bigger guys. If you find the article helpful, share it with your friends and family.